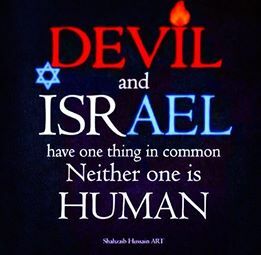 Is there any difference in Devil and Israel? Whatever and however Israel is doing and planning in Gaza and all over Palestine, it seems Indian govt copying the same in Punjab with Sikhs. Its electricity and waters not given to state, decreasing number of Sikh population in Punjab, killing or arrests Sikhs and keeping without trails or for long period without any hearing to suppress the whole community for the last 30 years though discrimination continued since India got independence. Army and Police misused to crush Sikhs. other communities provoked to eliminate Sikhs and once well fertilized Punjab whose areas were spread from Iran to Delhi is shrinked to small peace of land called Indian Punjab where Punjabi language is not flourished, leave the Sikh religion aside, where every effort is made to harass Sikhs but others given full liberty to humiliate and attack Sikhs. If Sikhs do not wake up, they will be suppressed like Palestine one day. 1. Gaza was invaded by Israel in 1967 & ever since Israel is illegally occupying the whole of the Gaza strip. 2. Gaza is surrounded on three sides by Israel who has blocked all these three sides by Israeli army.& Navy. One side is border of Egypt where the Egyptian army along with Israeli & UN observers & monitors blocks the entry of any body from/to Gaza. More then 50 resolutions have been passed by UN against Israel but with USA always on its side so Israel just doesn’t care. 10. Once a thriving society and rich people now have become beggars & prisoners in their own country.Can you imagine the trauma the humiliation the harassment the pain in the hearts of these people who have been invaded and made prisoners and slaves in their own country? What suggestions do you have now? The western paid media is making & broadcasting news in such a manner that one should feel as if Gaza residence are the one who are occupying Israel and Israel is fighting for the freedom of its citizen. So that people can only curse and blame Gaza residents. Please stand up for them for the sake of humanity. This entry was posted on July 31, 2014 at 8:02 pm and is filed under Uncategorized. You can follow any responses to this entry through the RSS 2.0 feed. You can leave a response, or trackback from your own site.